Hays County occupies an area of 693.5 square miles in south central Texas; the center of the county is at 98°00′ west longitude and 30°00′ north latitude, twenty-three miles southwest of Austin. The county is located on the border between the Edwards Plateau and the southern Black Prairie region. The Balcones Escarpment divides it into hilly, tree-covered ranch country in the northwest three-quarters and grassy, agricultural plains in the southeast quarter. The principal natural grasses are big bluestem and Indian grass; trees commonly associated with Central Texas-including live oak, cedar, pecan, and mesquite-are indigenous to Hays County. The elevation rises from east to west, varying from 600 to over 1,400 feet. The county’s numerous streams generally flow in an easterly direction; the principal waterways are Bear, Cypress, and Onion creeks and the Blanco and San Marcos rivers. The Edwards Aquifer underlies the eastern area, where San Marcos Springs, the second largest in Texas, delivers about 160 cubic feet per second. The soil varies from thin limestone to black, waxy, chocolate, and grey loam. The mean annual rainfall is 33.75 inches. The average maximum temperature in July is 96° F; the average minimum temperature in January is 40°. Hays County has a growing season of 254 days. On March 1, 1848, the state legislature formed Hays County from territory formerly part of Travis County. William W. Moon, Eli T. Merriman, and Mike Sessom, original settlers and members of John Coffee Hays‘s company of Texas Rangersqv, worked with Gen. Edward Burleson, a member of the Texas Senate, to have the new county named for Hays. County organization and the designation of San Marcos as county seat gave impetus to settlement; the population grew from 387 in 1850 to 2,126 in 1860. The county shrank slightly on February 12, 1858, when it lost acreage to the new Blanco County and gained a portion of Comal County. On January 10, 1862, the legislature again transferred another small area to Blanco County. Boundaries remained stable for nearly a century, until resurvey of the Hays-Travis county line in 1955 added over 16,000 acres to Hays County. The early settlers of Hays County were a mix of old Texans and Georgia and Arkansas immigrants. With the coming of the Civil War a majority of the residents favored secession. Col. Peter C. Woods‘s Thirty-sixth Texas Cavalry regiment was organized at Camp Clark, in neighboring Guadalupe County, in 1862; Company A was primarily made up of Hays County men. During the war county beef helped to feed Confederate forces. Shortly after the war’s end Col. George F. Snyder, a Georgian, established the first newspaper in Hays County, the Pioneer. During Reconstruction a Ku Klux Klan group was formed, and in May 1876 a military organization, the San Marcos Greys, was formed. 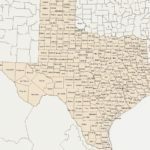 The ethnic and racial composition of Hays County is difficult to document with precision, but certain broad features emerge from the county’s census history. One discernible trend is a slow but consistent proportional decrease of African Americans in the county. Slaves were a primary source of labor in the county’s early history, and blacks constituted more than a third of the county population by the end of antebellum Texas. Just twenty years after the onset of the Civil War, however, fewer than 20 percent of the residents were black. The decrease slowed briefly during the Great Depression, but by 1950 the black population had dropped to less than 10 percent, and by the 1980 census it amounted to less than 3 percent. There is still less data regarding another major ethnic group in the county, Mexican Americans. The few available figures suggest that Hispanics have constituted roughly a third of the population since 1930. The most reliable information, that from the 1980 and 1990 censuses, shows Hispanic-surnamed residents as 30.5 percent and 27.8 percent, respectively, of the population. The political history of Hays County nearly mirrors that of the state as a whole. With the exception of the 1956 election, when the county returned to Democratic ranks while the majority of Texans voted for the Republican Dwight D. Eisenhower‘s reelection, Hays County has consistently voted with the statewide majority. In the mid-1850s the American (Know-Nothing) party registered unusual strength in the county and came within two votes of capturing a majority of the 1856 county vote for president, and in 1860 most voters in the county supported John Bell, the Constitutional Union candidate. In 1872 (the first year after Reconstruction that Texans could vote in a national election) most of the county’s presidential votes went to Democrat Horace GreeleyThereafter, Hays County remained in the Democratic column until 1928, when Herbert Hoover carried the county and the state. Except for Eisenhower’s 1952 victory, the county did not vote Republican again until the Nixon-McGovern contest in 1972. After Nixon’s decisive victory the county began to lean Republican. Though Democrat Jimmy Carter was able to win a majority there in 1976, the Republican presidential candidates carried Hays County in almost every election from 1980 through 2004. The only exception occurred in 1992, when Democrat Bill Clinton was able to win a plurality of the county’s votes, partly because independent candidate Ross Perot attracted many voters who might have otherwise voted Republican. Mary Starr Barkley, A History of Central Texas (Austin: Austin Printing, 1970). Dudley Richard Dobie, A Brief History of Hays County and San Marcos, Texas (San Marcos, 1948). San Marcos Record, September 25, 1936. Bella French Swisher, “Historical Sketch of Hays County,” American Sketch Book 4 (1878). Tula Townsend Wyatt, Historical Markers in Hays County (San Marcos, Texas: Hays County Historical Commission, 1977). Handbook of Texas Online, Paul F. Cecil and Daniel P. Greene, “Hays County,” accessed June 15, 2016, http://www.tshaonline.org/handbook/online/articles/hch11. Uploaded on August 7, 2010. Modified on February 5, 2016. Published by the Texas State Historical Association.